GroupTweet is the perfect way to allow multiple contributors or team members to help you Tweet from one or more Twitter accounts. 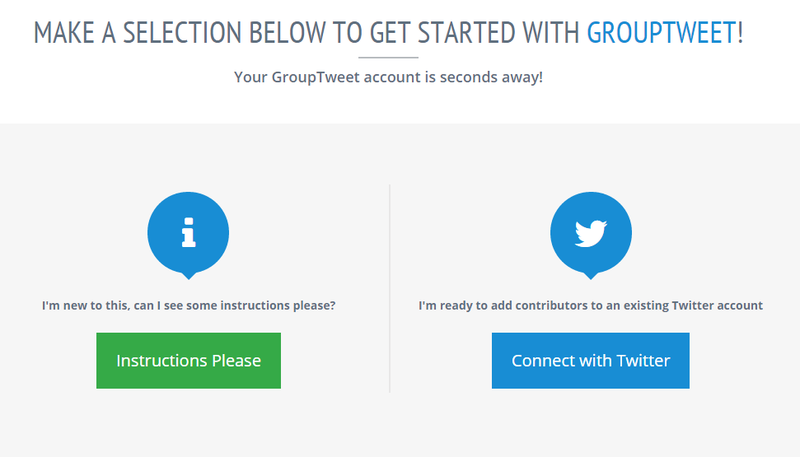 This post will walk you through the initial steps of creating a GroupTweet account so you can share a Twitter account with multiple contributors. If you want to learn exactly how GroupTweet works and what settings are available, check out our next post (after reading this quick quide): A Step by Step Guide to Managing a GroupTweet account. If you already have a company Twitter account or an account for your organization, team, or classroom then you already have this step covered. If you are starting a new group account, first signup for an account at Twitter.com. Want to use the same email on multiple accounts? Use this trick. Visit GroupTweet.com and click on the “Get Started” button. This launches a Twitter Authorization window. 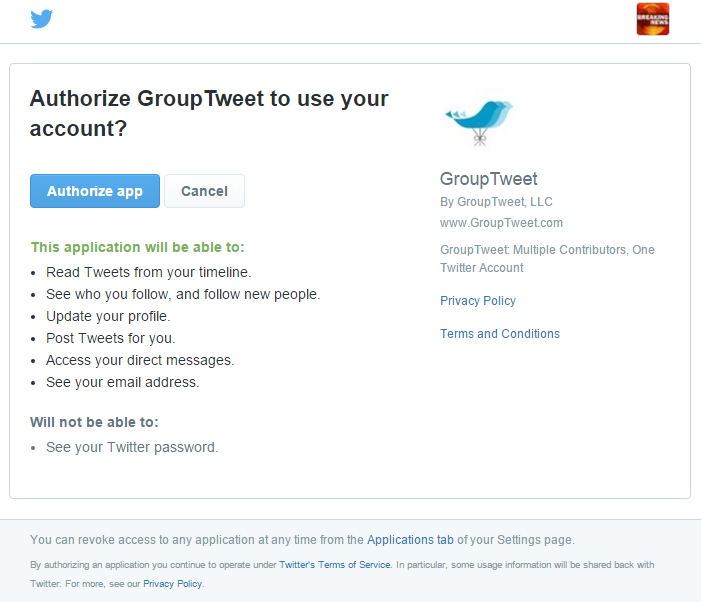 On this step you want to make sure to authorize GroupTweet to work with your “GROUP” account i.e. the one you wish to allow multiple contributors to Tweet from. You might have to logout of your personal account first and then sign into the group account. 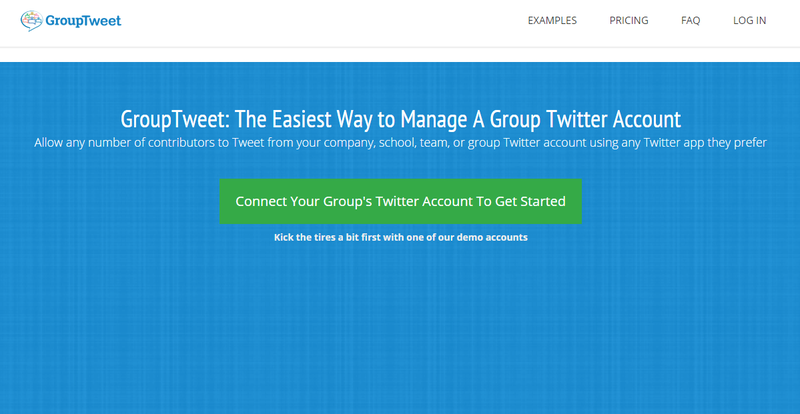 The logo in the top right tells you which of your accounts you are authorizing with GroupTweet. Assuming you connected the group account, and not your personal account, add your email address and click the “Continue” button. On the next step of the wizard (seen below) you will have the option to either add your first contributors (we recommend adding your own personal Twitter account to test things out) or skipping the wizard and proceeding to the GroupTweet dashboard. Since you are reading this blog post, you can go ahead and click the “Skip Guided setup” link under the continue button to proceed to the dashboard and read our follow up blog post that helps you configure your account. GroupTweet is very flexible and can be configured in a number of ways, so we’ve created a step by step guide to managing a GroupTweet account. Check out that blog post and you’ll be a GroupTweet pro in no time! If you have any questions at all about how GroupTweet works, don’t hesitate to e-mail us. Connect my Twitter account to GroupTweet now! Curious about how GroupTweeting works after you have your account setup? 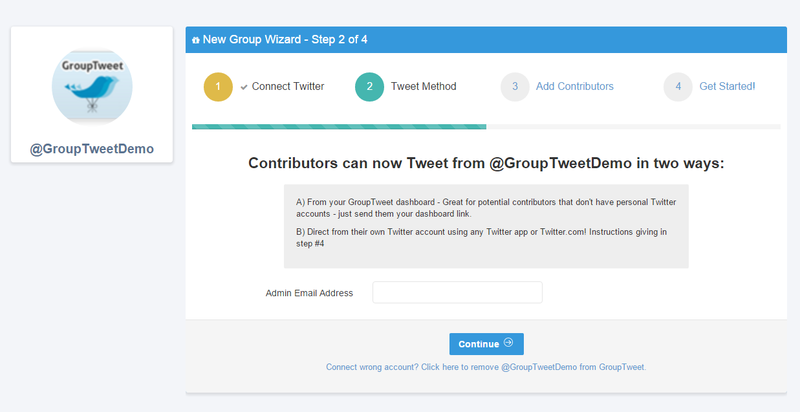 Read the step by step guide to managing a GroupTweet account.